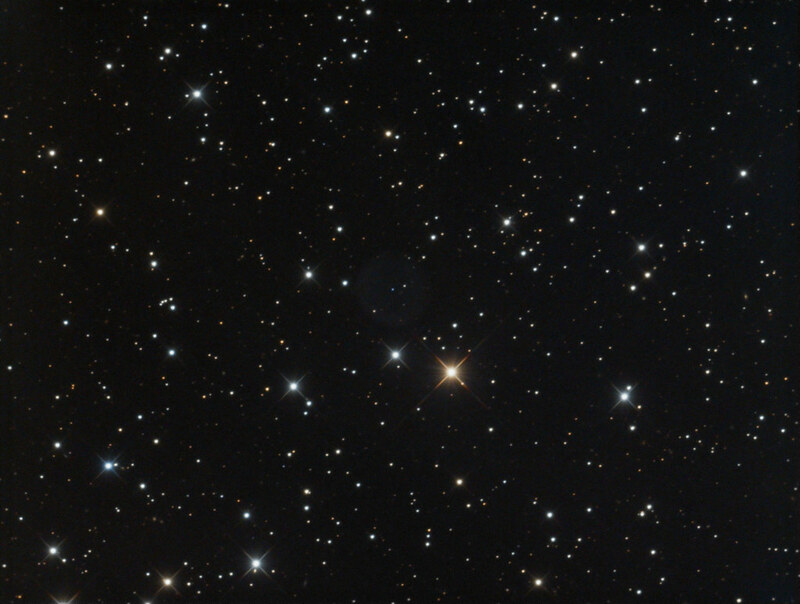 Abell 16 (PK 153+22 1 and others) is a bubble planetary nebula located approximately 4,445 light-years away in Lynx. Imaged November 17th, 18th, 20th and December 3rd, 2018 from Dark Sky New Mexico at Rancho Hidalgo (Animas, New Mexico) with a SBIG STF-8300M on an Astro-Tech AT12RCT at f/8 2432mm. j.gardavsky, dmdmtr, Moreflying and 6 others like this. a very successful capture of this faint bubble! Is the buish looking-to-me star in the middle the central star? It is. If I'm interpreting the Simbad results right, it is mag 18.714 V.
j.gardavsky and Juno16 like this. Wow! That is murderously faint! Very nice image, Dan!